Framura is set inbetween Cinque Terre and Portofino, and it counts five small villages with centuries of history behind them, surrounded by unspoiled nature offering breathtaking scenery at every turn. Beaches and cliffs that caress a cobalt blue sea and forests of many colors with the seasons make this country one of the most beautiful and unspoilt of Liguria. 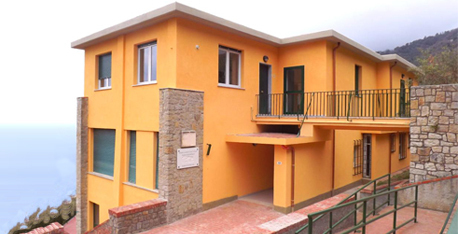 Our Hostel is the ideal accommodation for those wishing to visit Levanto, Cinque Terre and Portofino. It can accommodate up to 25 people split into 2, 4 or 8 bedrooms, all with private bathrooms. We also have a 40-seats conference room for meetings. By clicking the "Send" button I hereby give my explicit consent to treat the above personal details according to Art. 13 of D.Lgs. 196/2003 (italian Privacy Act), in order to proceed with receiving the requested information. * Fields marked are mandatory.